Hairdressing armchair NAVONA + TERRA BLOCK, buy at the price of 1545 in Europe. 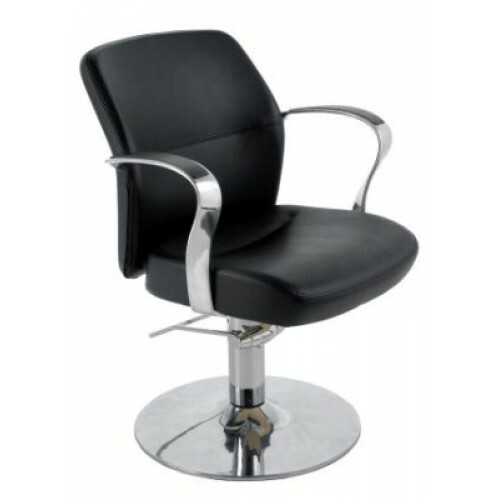 Hairdressing armchair Navona + Terra Block is designed for beauty and hairdressing procedures in the hair salon. It gets great popularity due to its technical features. You can buy such a beautiful armchair in our store at the best price. Its base is made of most reliable chrome-plated metal, which is very durable. The armchair has a comfortable armrests, which are made of cast aluminum and wood inserts. Comfortable backrest supports your back on the continuation of the procedure. The surface material of the seat is a reliable and practical imitation leather, which is very light, amenable to cleaning and retains its original appearance for a long time.